The RAV4 began production in Woodstock in late 2008, with the current version coming on stream in late 2018. EDITOR'S NOTE: An earlier version of this story overstated the amount of financial assistance Toyota received from the Canadian and Ontario governments. The two levels of government combined to loan the automaker $220 million. The $1.4-billion investment in Toyota RAV4 production will mean that, combined, the company’s Cambridge and Woodstock, Ont., assembly plants will pop out the utility vehicle at a rapid-fire rate of nearly two per minute. “We’re expecting some really strong growth with this vehicle, and we’re ready for that,” Fred Volf, president of Toyota Motor Manufacturing Canada, told Automotive News Canada in December at the Woodstock factory. 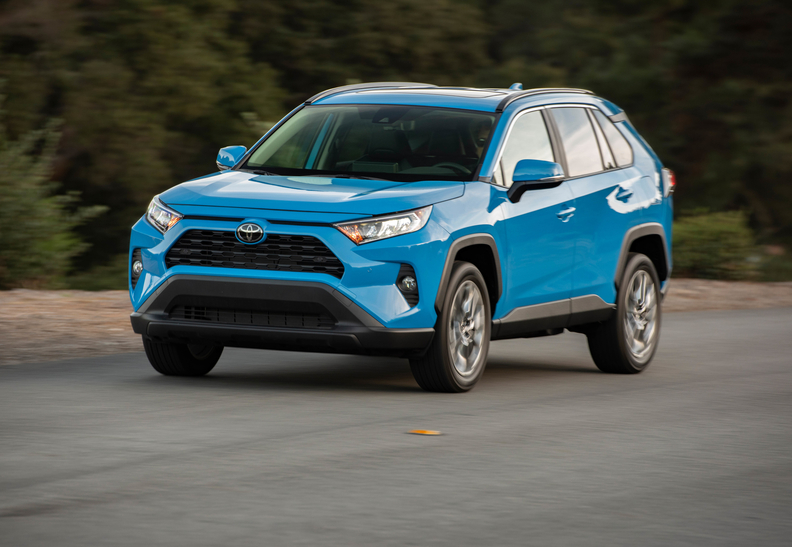 But the bigger picture is that the two plants become more flexible because the redesigned 2019 RAV4 is built on the Toyota New Global Architecture, the platform that underpins many of Toyota’s future products. The Woodstock and Cambridge plants might build one type of vehicle now, but the plants are not one-trick ponies. “What it means for us is that we can switch from building one type of vehicle to another type of vehicle depending on customer demand,” Volf said. “It’s minimal change to the plant, and most importantly, we end up doing a long-term, one-time investment, and then we have future flexibility. “That’s a real key for manufacturing because manufacturing vehicles is very capital-intensive. So if we can basically invest once and use that for many different platforms for many years, it’s a good thing for us. And it’s a good thing for our customers, ultimately, because it keeps our costs under control.” Moving to the new platform also gives suppliers more flexibility, Volf said. The RAV4 began production in Woodstock in late 2008, with the current version coming on stream in late 2018. The Cambridge plant begins production in February after a two-week shutdown for retooling. It currently assembles the Toyota Corolla sedan, but that production moves to the United States. Once fully ramped up, the Woodstock plant will churn out the RAV4 at a pace of about one a minute. The Cambridge factory will be a little slower at 70 seconds per vehicle, said Volf. In May, Toyota announced it would spend $1.4 billion on the two plants to build the RAV4. The investment included about $220 million total from the federal and Ontario governments. While disruption was minimal at the Woodstock plant, which was closed for only four days for retooling to build the current RAV4, the vehicle is more complex than the previous one. Volf said the 2019 version has 25 per cent more parts than the older model, and about three-quarters of the processes at the plant have changed to build it. The shutdown at Cambridge is longer because of the changeover from the Corolla to the RAV4. “Our challenge there is moving the plant from building a sedan to an SUV, which means a lot more equipment has to go in,” Volf said. Previously, the RAV4 hybrid was assembled only in Japan, but the Canadian plants will also build that model, although it will be on the same line as the conventionally powered RAV4. The hybrid arrives later in the year. Toyota’s investments in its Canadian operations come as its competitors make major decisions about their plants. In 2017, Honda said it would spend $492 million to retool its Alliston, Ont., operations, while Ford Motor Co. and Fiat Chrysler Automobiles have also recently made substantial investments at their plants in Oakville and Windsor, Ont., respectively. Meanwhile, General Motors said in November that it would stop allocating product to its Oshawa, Ont., plant at the end of 2019.